These notes are current as of July 21, 2016. Any further updating will be noted. I hope these can help people learn about the Raspberry Pi. They focus on programming, interfacing with electronics, and learning about the Raspbian Linux operating system. Beginners and those with less interest in the technical details are probably better served by the information supplied on the Raspberry Pi Foundation Website. These notes are mostly in .pdf format. Collections of files in .tar.gz format are also present and are referenced by the setup notes. My upload speed is only 100 kB/s so the larger .tar.gz files will take a while. A detailed explanation of BlinkingLEDUsingTimer0.asm assembly code with specific references to ATmega328P datasheet sections. 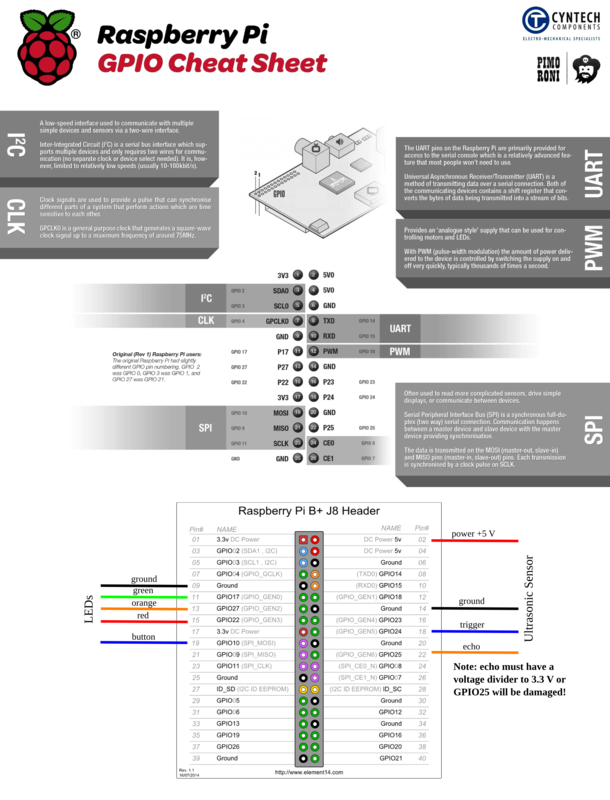 A detailed explanation of BlinkingLEDUsingTimer0WithOVFInterrupts.asm assembly code with specific references to ATmega328P datasheet sections. A detailed explanation of Voltmeter.asm assembly code and the VoltmeterTest.py python program that retrieves its voltage readings. A note about networking and the utility tcpdump. A set of programs for video conferencing. This set of programs allows a Raspberry Pi trapped behind an ISP firewall without a static IP address to directly (no middleman server) communicate over the Internet to a remote Raspberry Pi that does have a static IP address. The files for this are in Pi2Pi.tar.gz.